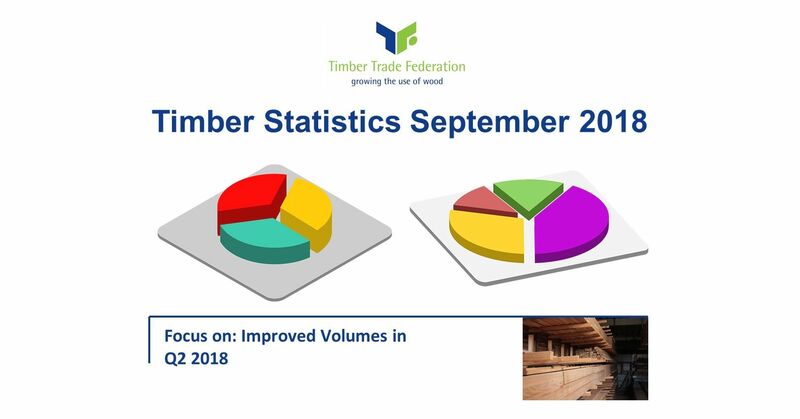 The Timber Trade Federation has issued its September 2018 Monthly Statistical Bulletin including Focus on: Improved Volumes in Q2 2018. In the first half of 2018 solid wood imports by volume were 9% lower than in the same period in 2017 and imports of panel products were also lower by a little over 1%. Cumulatively for the first six months of 2018, import volumes remained 6.6% lower than in the same period in 2017. The Bulletin also compares imported volumes in Q1 and Q2 2018 with the past year reporting that “total import volume in the first half of 2018 was 2, 7% below the same period in 2017. This has been the worst start to a year since 2009. Severe weather in Q1 and the problems surrounding Brexit have been major causes, but perhaps the worst is over for 2018?” Find out more here.